Fall in love again over meticulously arranged private dining which comes with gentle ocean breeze and glorious sunset views. 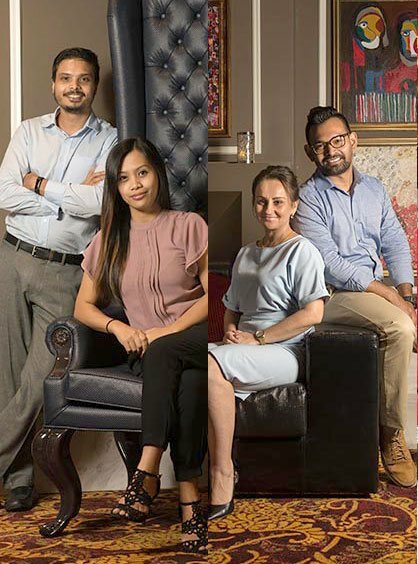 The gourmet delights that blends palatial menus prepared by culinary masterminds take romantic dining to the next level. 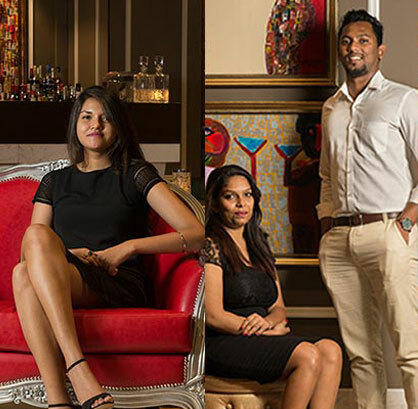 A perfect resort to enjoy such borderless dining concept would be Dusit Thani Maldives on Mudhoo Island. Go back in time while you watch a classic black & white lying on the soft sandy beaches with the love of your life in your arms. With a delectable bottle of wine and a platter of cheese to set the mood and the gentle ocean breeze caressing is more than a perfect way to celebrate your love. 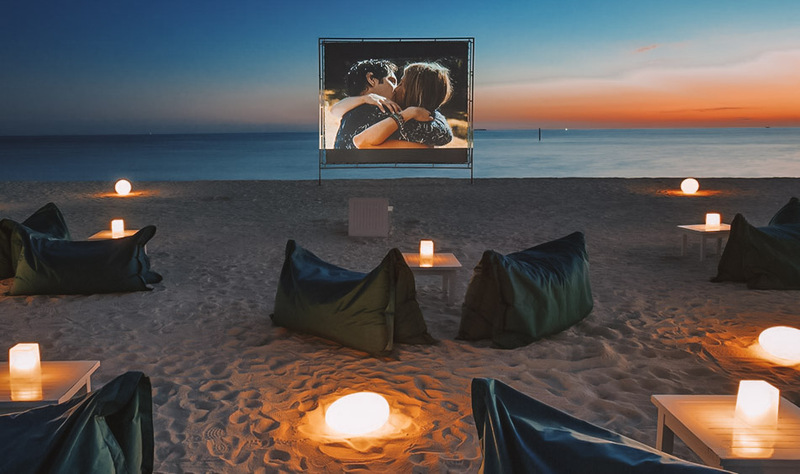 Velsassaru Maldives is all set to complement the romantic in you with complete open air beach cinema experience paired with comfy bean bags, mean cocktails and all time favourite popcorn. 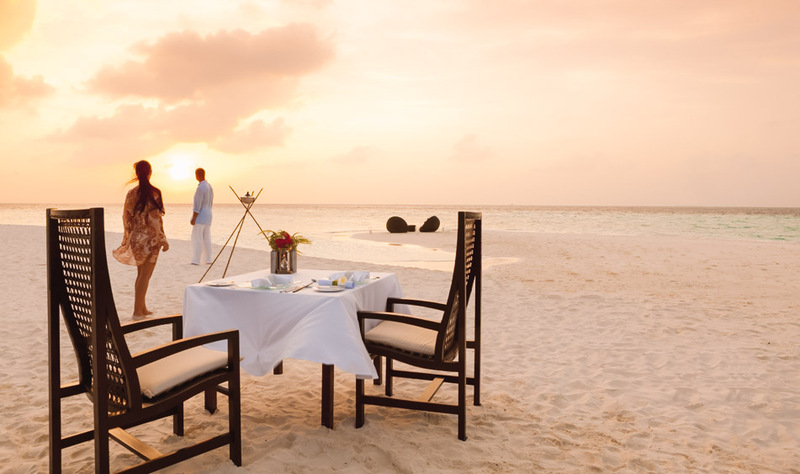 Announce your love that is as uniquely deep as the turquoise oceans in Maldives while you feast like royalty, surrounded by breathtaking subaquatic views. 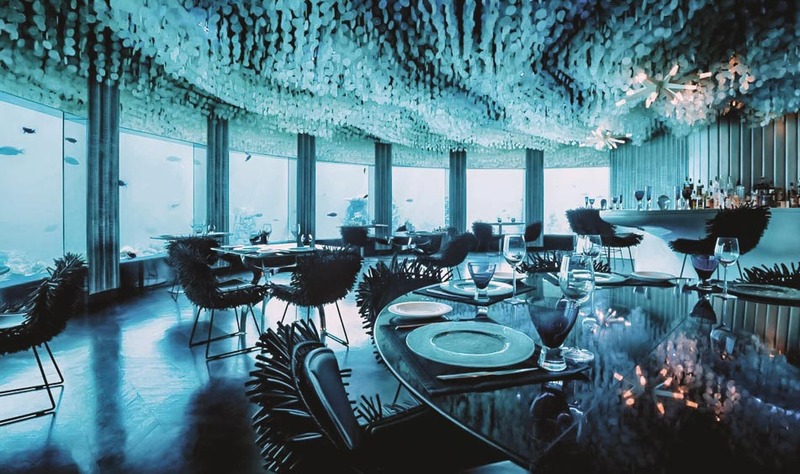 Italian abstract chandeliers illuminate the floors of the Niyama Private Islands’ (Hyperlink) Subsix, setting the perfect ambience for intimate dining settings in the depths of the ocean. Hideaway in the swooping curves of the clam-inspired bar, tucked into the soft anemone seating, dive into Champagne breakfasts, subaquatic lunches, gourmet dinners and glow parties. 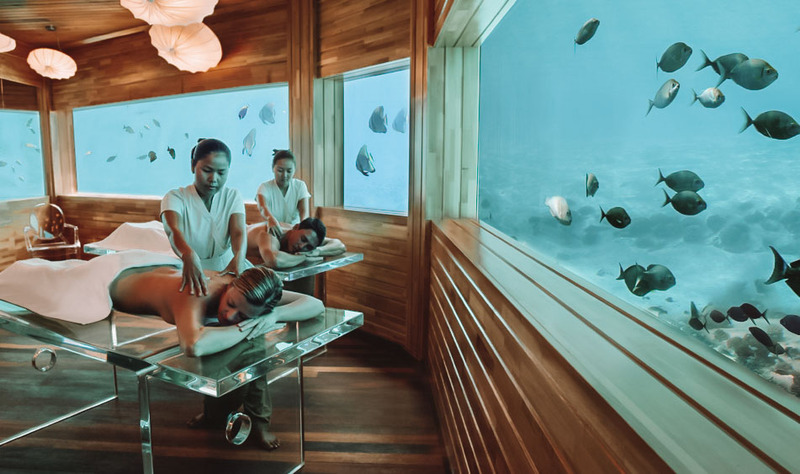 For daytime fish spotting, you can also head to the underwater restaurant and wine cellar at Anantara Kihavah (Hyperlink), in the Baa Atoll or Conrad Maldives Rangali (Hyperlink) Island in the South Ari Atoll. Take a stroll along the beach of an island that is big enough to get lost on. The more walking or cycling about you do, the more surprised you would be. You can stargaze into oblivion; find those constellations that lit the path for you to find each other. 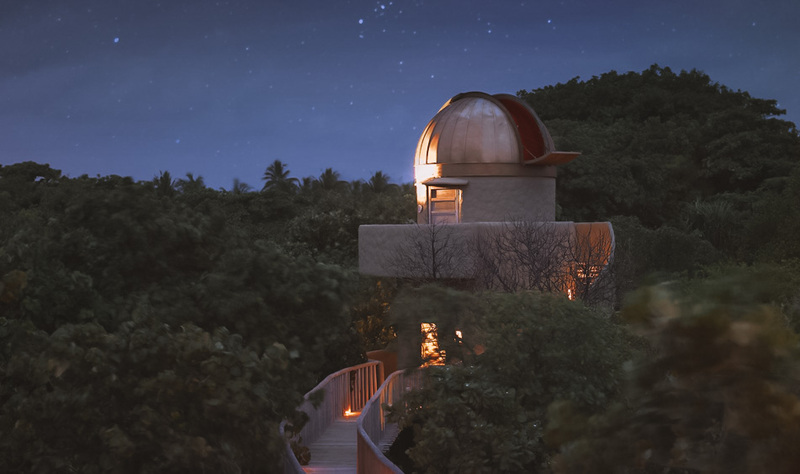 A wine and cheese platter to romanticize the moment while you gaze away at Soneva Fushi; equipped with one of the best observatories in the Maldives. For a more unique experience in the Maldives you can kit up for a multicoloured underwater mission on the Indian Ocean. The liveaboard cruiser holidays are the trendiest yet most fascinating way to spend your honeymoon in the Maldives. 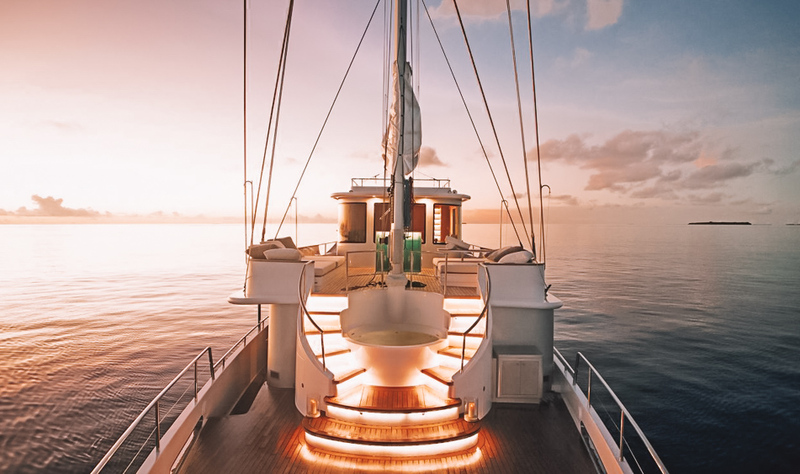 Days on the cruiser will be with breakfast on deck, exploring the virgin dive sites, picnicking on remote islands, Manta Ray feeding or even getting a massage under the palm trees and taking home more than just memories of lying back on the beaches. You won’t get the rose petals scattered turn down or the private plunge pool, but this is all part of the charm. Stroll hand-in-hand around the reef-fringed private island to bask in picnic settings of unspoilt privacy, to discover idyllic supreme relaxation in a remote island in the middle of nowhere. What better place could it be to celebrate a romantic milestone? At Baros Maldives (Hyperlink) privacy is appreciated with utmost importance. 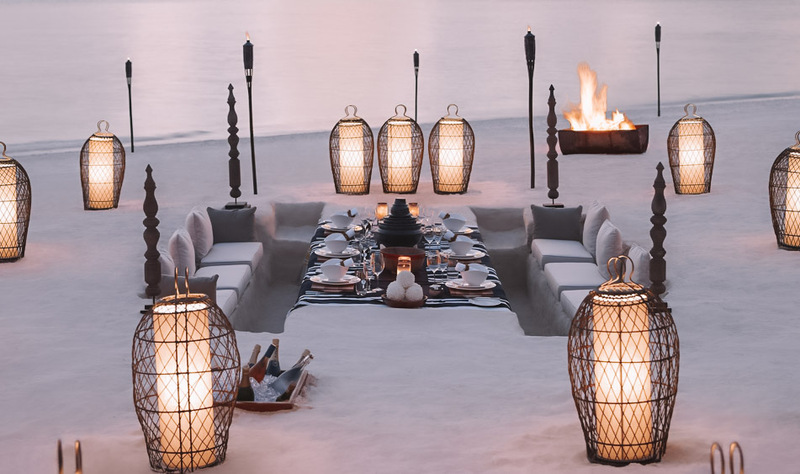 Intimate settings with views of the spotless sea, dreamy gourmet delights will truly engulf you and the charms of the island will lull you into a deep dream of romance where time will stop just for you and no one else would know.